My family loves toasted pumpkins seeds! And I love that they love them because they are so good for us. There are so many reasons so I’ll try to keep this short but for starters, they are natural anti-inflammatory. That’s always big in my book. They are also a good source of vitamin E, selenium, tryptohan (helps fight depression), glutamate (relieves anxiety), and zinc (boosts immune system and fights osteoporosis). They also have lots of vitamins to make our hair and nails strong and healthy like B-complex and Biotin. 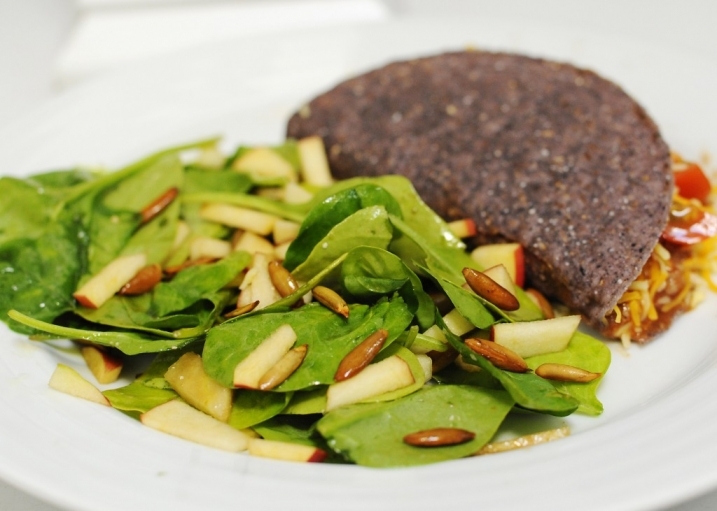 And lastly, they are full of manganese, phosphorous, copper, vitamin K, vitamin E, B vitamins such as thiamin, riboflavin, niacin, pantothenic acid, vitamin B-6 , folates, potassium, calcium, iron, magnesium, and more. That’s a lot of benefits for such a little seed! So why do we really love them? 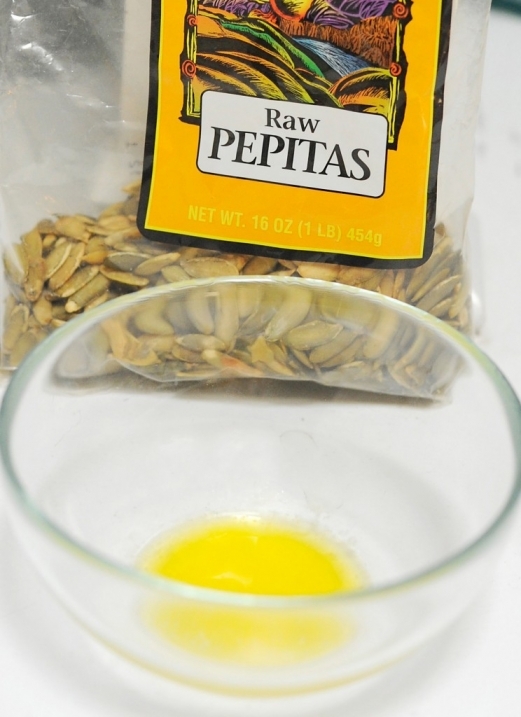 They taste delicious, they’re easy to make, and they are a great snack!! 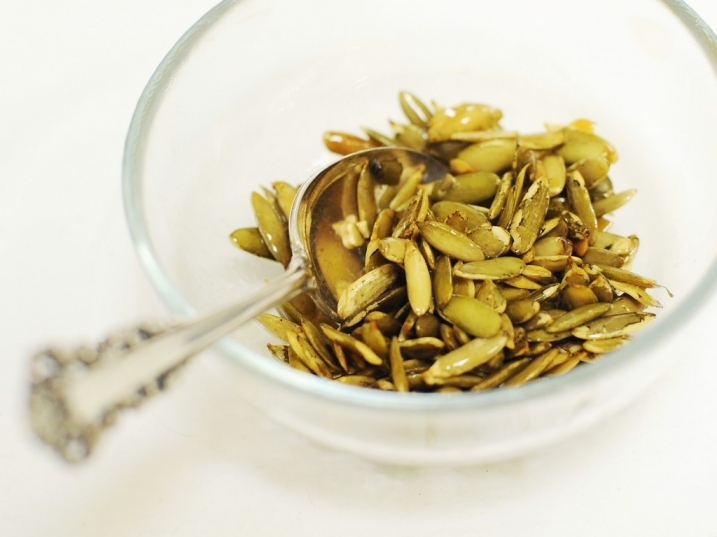 Here’s how to make Halloween pumpkin seeds, year around! 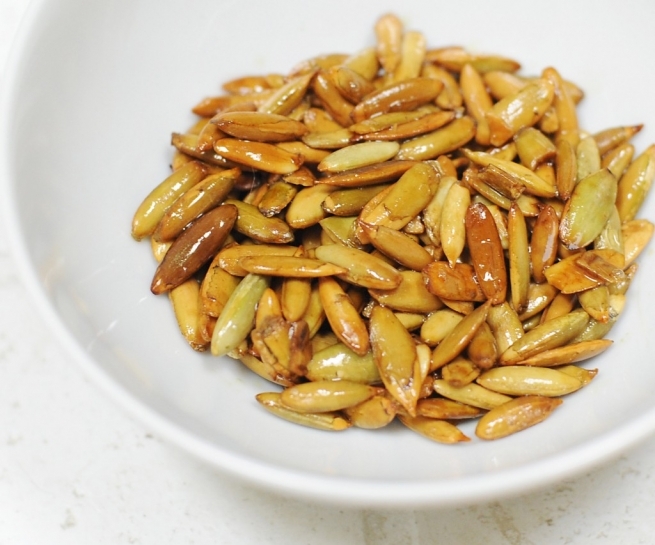 You need a handful of raw pepitas (pumpkin seeds) from Trader Joe’s and some Kerrygold butter. Melt a pat of butter (about 1 tbsp or a little less) in the microwave for about 20 seconds or until melted. Then add in the raw seeds (about 3/4 cup) and stir until covered evenly. Next, heat your toaster over to about 350 and let them cook for about 3-5 minutes, stirring every minute or so so they cook evenly. They will cook fast and as soon as you hear them start to “pop”, you know they’re just about done. They will turn from a green color to brown. Pull them out of the toaster (or oven), let them cool, and then enjoy! And they are even better on a salad. Mmm warm, salty, and crunchy makes for popular salad around here!